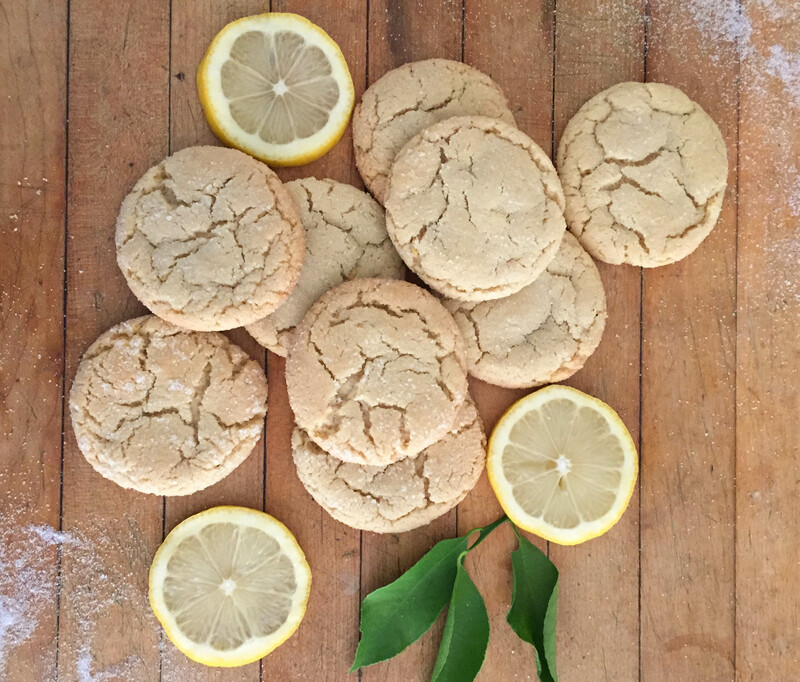 These lemon cookies were inspired by the lemon sugar and preserved lemon peels I posted about here. 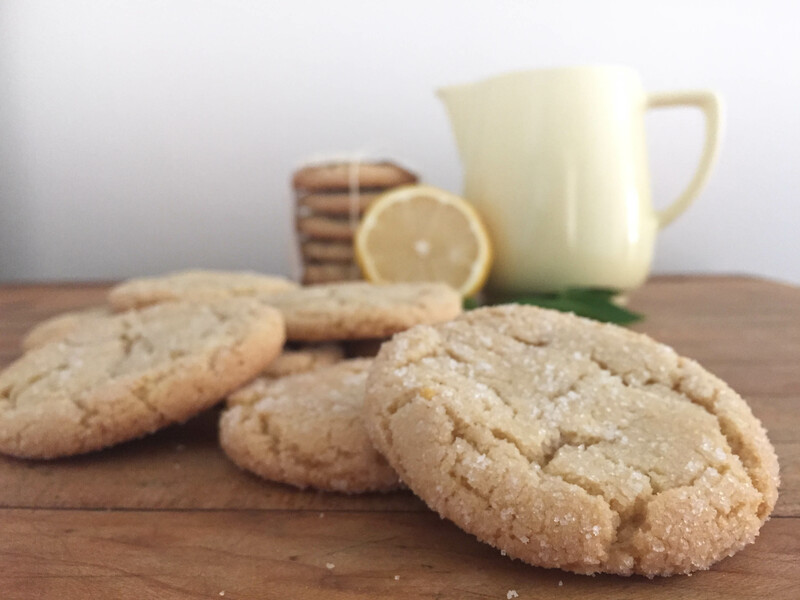 I wanted to create a cookie that is both chewy and sweet, but also has a tangy, lemony kick. And boy-oh-boy, they came out just right – I can’t wait to share them with you. Use a kitchen scale. I know, I know, measuring cups are very convenient, but professional bakers measure their ingredients by weight for a very good reason. How much flour you really get in one cup can vary greatly depending on what type of flour you are using and how you measure it (i.e., are you scooping it out of the bag with your measuring cup, or are you gently filling the cup using a spoon?). If you make the switch to a scale, your results will be much more consistent and you will be able to easily measure any ingredient, making the initial investment well worth it. Don’t preheat the cookie sheet and always let it cool down for a couple of minutes between batches (or alternate between two cookie sheets). Take the cookies out while they are still very soft in the middle. They should be so unstable that it’s almost impossible to remove them baking sheet without breaking them. Let them cool down for about 2 minutes, then transfer them to a cooling rack. 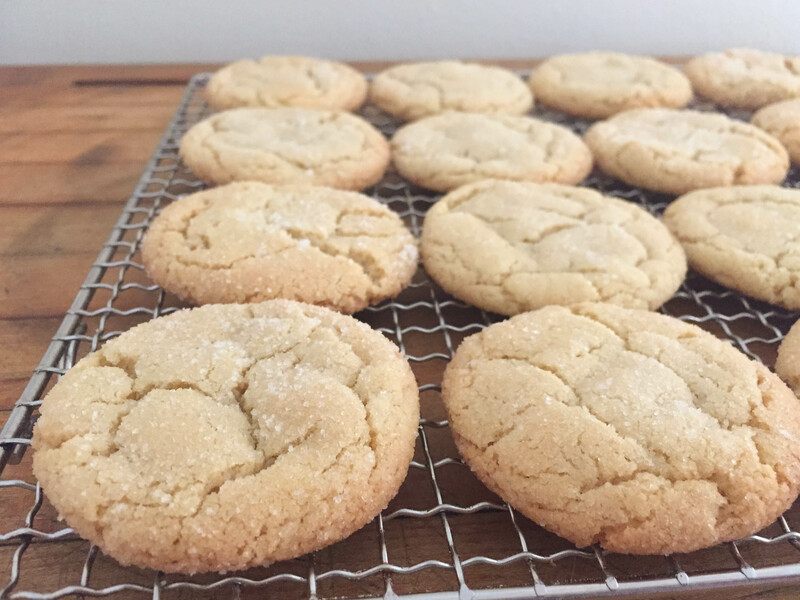 The cooling rack allows air to circulate underneath the cookies to make sure that the bottom stays nice and crispy. When I try out a new recipe, my first baking batch consists only of two to four cookies. This allows me to check whether the baking time and consistency are ok, and how far I have to space the cookie balls apart to make sure they do not melt into each other. If the cookies turn into flat, crispy sugar crackers, add a handful of flour to the remaining cookie dough before you portion the next batch. This way, you won’t ruin an entire batch if something is slightly off. 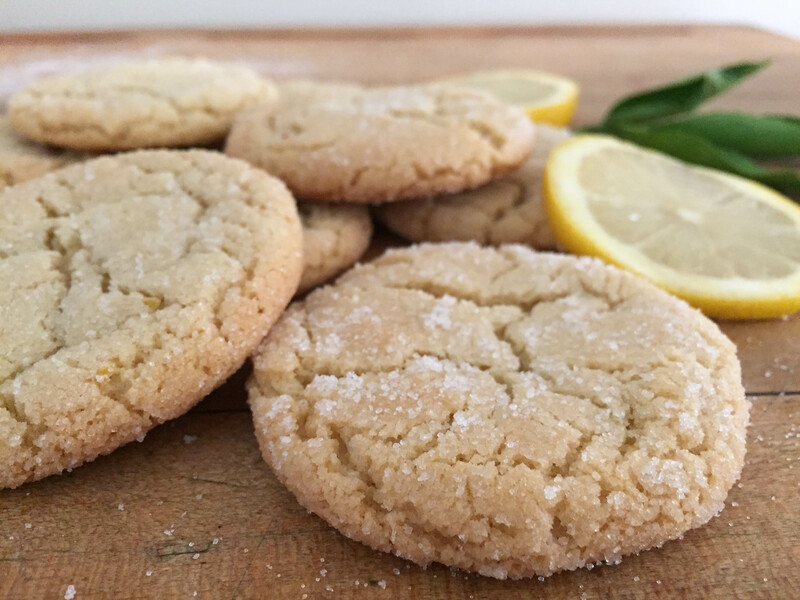 Now, without further ado, let’s make some lemon cookies. Cream the butter with light brown sugar and lemon sugar until fluffy. Add the egg and continue mixing on medium speed until well incorporated. 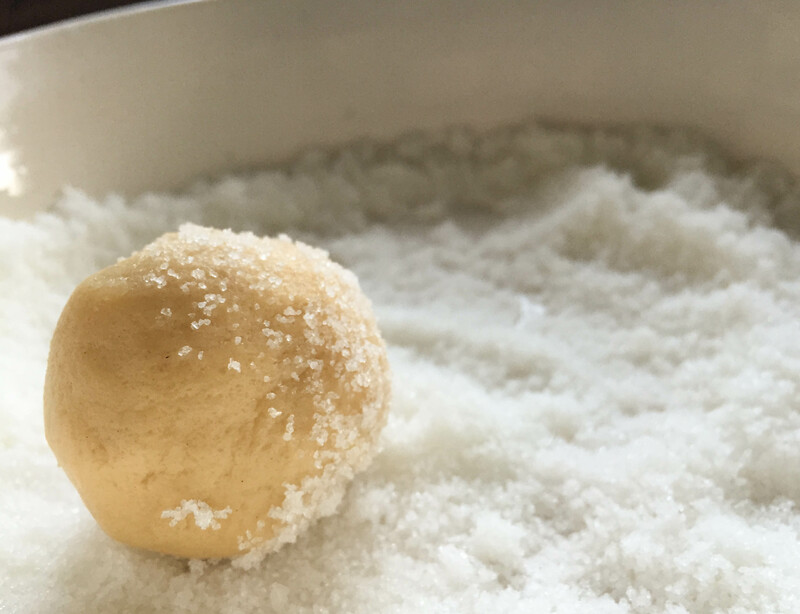 In a separate bowl, mix the flour, lemon zest, salt, baking powder, and baking soda. Divide the cookie dough into small balls of 25 g each (about the size of a walnut). 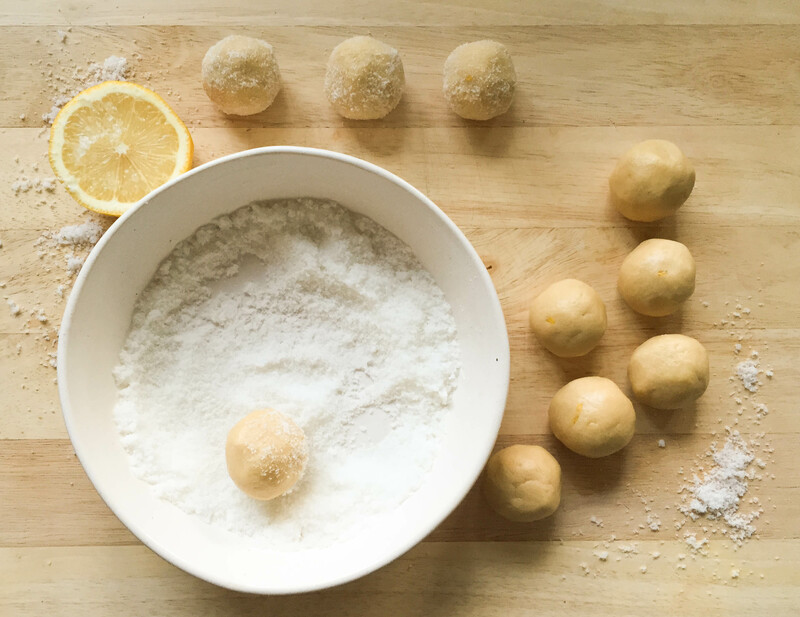 Place the remaining ¼ cup of lemon sugar in a shallow bowl and gently roll the cookie balls around the sugar until they are coated evenly. Place cookie balls on the baking sheet, leaving about two inches of space between them. Bake for 9 minutes at 320°F. They are done when you can see the first hint of golden brown around the edges. They will still be very soft in the middle. Remove the baking sheet from the oven and let the cookies cool for at least two minutes. Transfer the cookies to a cooling rack and let them cool completely (if you are that patient).